SsangYong introduced the current, third generation SsangYong Rexton in 2012, and now, it's readying the fourth generation SsangYong Rexton. 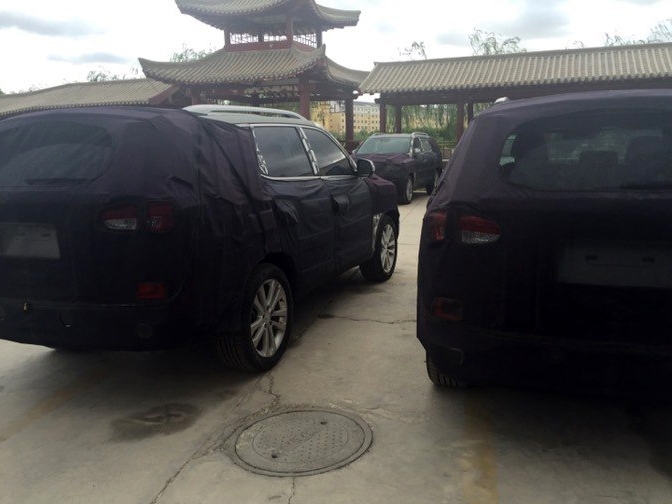 As the next-gen SsangYong Rexton's development continues internationally, engineering mules have been spied in China, courtesy autohome.com.cn. The all-new Rexton will be unveiled at the 2016 Paris Motor Show. 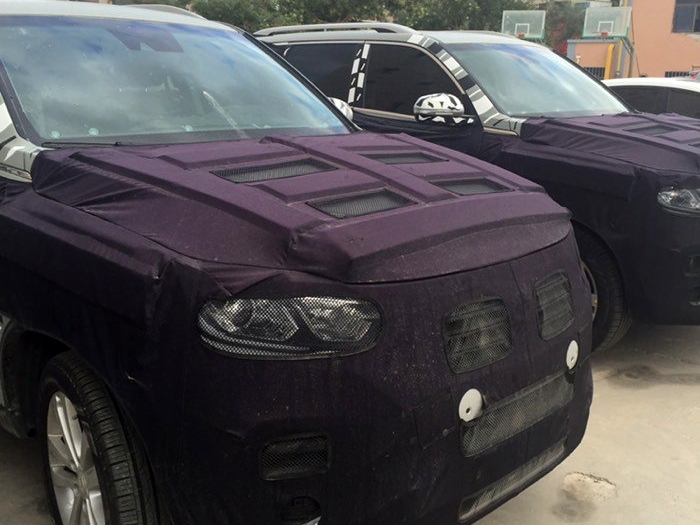 The next-gen SsangYong Rexton's exterior will be inspired by the SsangYong LIV-1 concept. The heavy camouflage doesn't reveal much of the exterior of the next-gen Rexton, but some redesigned elements are visible, such as rectangular headlamps, radiator horizontal grille and horizontal taillamps. The interior has also been revealed to some extent. The next-gen SsangYong Rexton apparently features a new three-spoke steering wheel and redesigned centre console. Also, there could be an electronic parking brake this time. The next-gen SsangYong Rexton will spawn a new 1-tonne pickup truck also, and both these models' exterior will be inspired by the Ssangyong LIV-1 (Limitless Interface Vehicle) concept. The pickup truck is being developed under the codename SsangYong Q200 and it will replace the Ssangyong Korando Sports. The next-gen SsangYong Rexton will spawn a new 1-tonne pickup truck. The VW Amarok rival will be powered by a 178 bhp 2.2-litre diesel engine which will send power to the wheels via a 6-speed manual transmission. A 7-speed or 8-speed automatic transmission could be made available optionally, while a selectable four-wheel drive system and a locking differential will be fitted for off-road driving. The next-gen SsangYong Rexton, as per the Chinese publication's report, will be available with 2.0- and 2.2-litre petrol and diesel engines, with an 8-speed automatic transmission.